Imperial College London is pleased to invite applicants to apply for a research position. Citizens of any country are eligible to apply. Applicants should apply before 05/09/2018. Applications are invited for a 1-year Clinical Research Fellowship in paediatric infectious disease, funded by the Imperial College Biomedical Research Centre, within the Paediatric Section of the Faculty of Medicine, at Imperial College. The successful candidate will join Dr Jethro Herberg and Prof Michael Levin to work on a BRC funded research program on developing biomarkers of sepsis, as well as working closely with the EU-funded PERFORM study. We are looking for a highly motivated clinical trainee interested in a career in paediatric infectious disease who is aiming to develop the necessary skills, knowledge and pilot data that would enable the trainee to submit PhD fellowship applications. 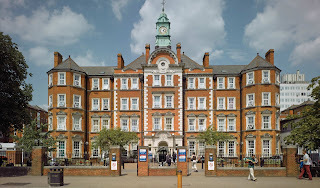 Over the last decade, the paediatric infectious disease team at St Mary's Hospital has led large projects investigating the biomarkers and genetics of infectious and inflammatory illness in children, using a variety of approaches including transcriptomic and proteomic analyses, and exome sequencing. This work has led to the description of biomarker signatures of disease, currently under development for translation into clinical diagnostic tests. The PERFORM study is a multi-country study involving nine European partners and The Gambia in West Africa to identify better ways of diagnosing and managing febrile children. The post holder will be involved in overseeing patient recruitment through the BRC and PERFORM studies, as well as in the statistical analysis of biomarkers and clinical markers to improve diagnosis of bacterial infection. The post holder will hold an honorary clinical contract with Imperial College Healthcare NHS Trust, enabling them to take on clinical responsibilities appropriate to their level of experience and expertise. The post holder will be required to work on the clinical phenotyping of children recruited to the study, working with the Research Nurse team, to help identify suitable patients, to interpret their clinical findings, and to take part in weekly notes-based patient reviews of recruited patients. Applicants must have a medical qualification with registration at the General Medical Council. The project would ideally suit an outstanding paediatric trainee with an interest in infectious diseases. For more information please email Dr Jethro Herberg (j.herberg@imperial.ac.uk) or Prof Michael Levin (m.levin@imperial.ac.uk). To apply please attach your CV, names of two referees and a short personal statement. The position is available from 1 September 2018.